Hello! I’m Karrie, also known as the “Freezer Meal Queen”. I’m the author of the international award-winning cookbook “Seriously Good Freezer Meals“, the recipe developer, cook, writer and the-sometimes-photo-taker of the recipes and other pictures on my blog happymoneysaver.com. I’ve been making and developing freezer meal recipes for over 15 years in my kitchen and have learned all the best techniques and strategies. I’ve been quoted in the Wall Street Journal, Huffington Post and featured in the All You Magazine as well as some local news segments. 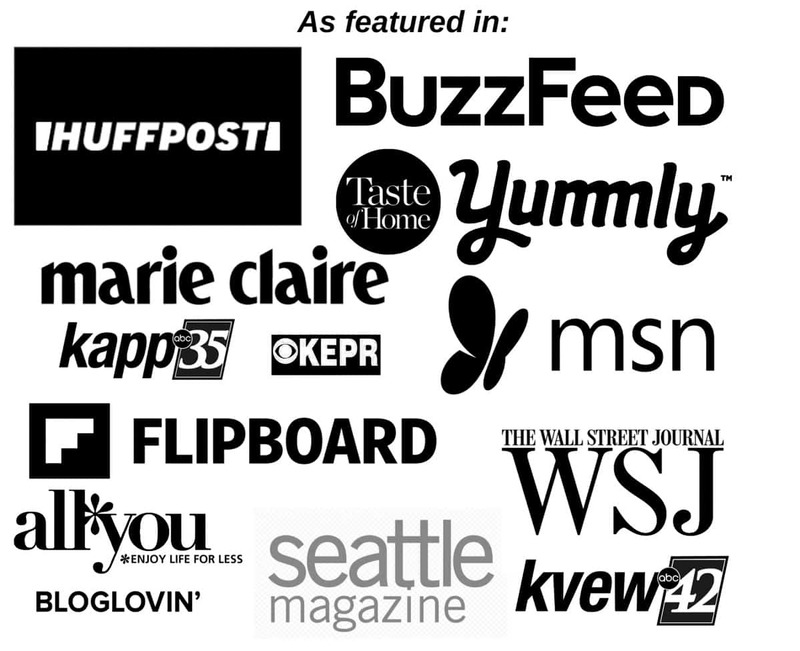 I’ve been featured in Buzzfeed, Msn.com, Yummly, Bloglovin, and Flipboard. As for magazines I’ve been featured in Marie Claire Magazine UK, San Diego Woman Magazine, At Home New Jersey Magazine, Seattle Magazine, Shape Magazine, Albany Times Union Newspaper, Eat This, Not That Magazine, Mom Magazine, Paris Post Intelligencer Daily Newspaper, Bella Magazine and more! Food is my love language. But so is saving money. So I like to combine the two a lot and make thrifty make ahead and freeze meals to save time. 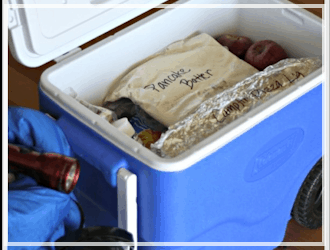 Because life is busy, and freezer meals can come to the rescue for all of us. And yes, they actually CAN taste good. Growing up in a large family I’ve always been keen to find ways to cut costs and more importantly time. I live my dream of spending time with my family while getting into all sorts of trouble and living life to the fullest. 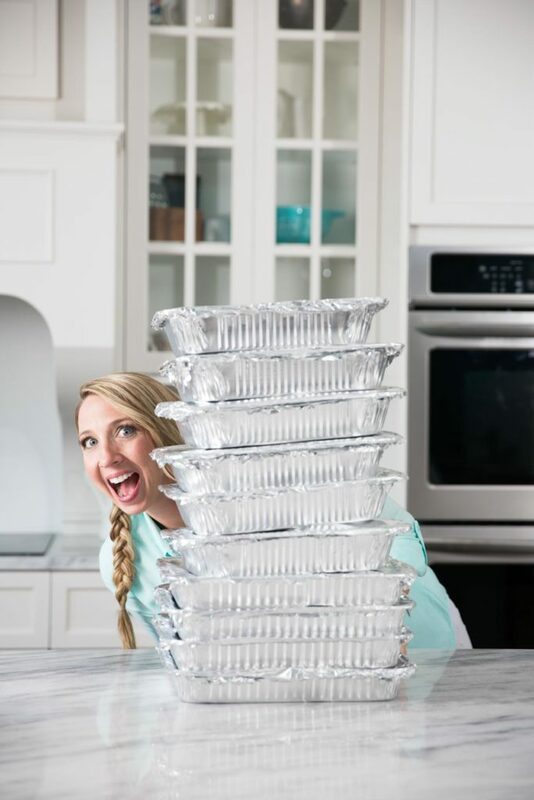 You know, doing crazy things like making 50 freezer meals in a day, raising chickens, learning to make things the old fashioned way, and dancing to 80’s music while cleaning the house. 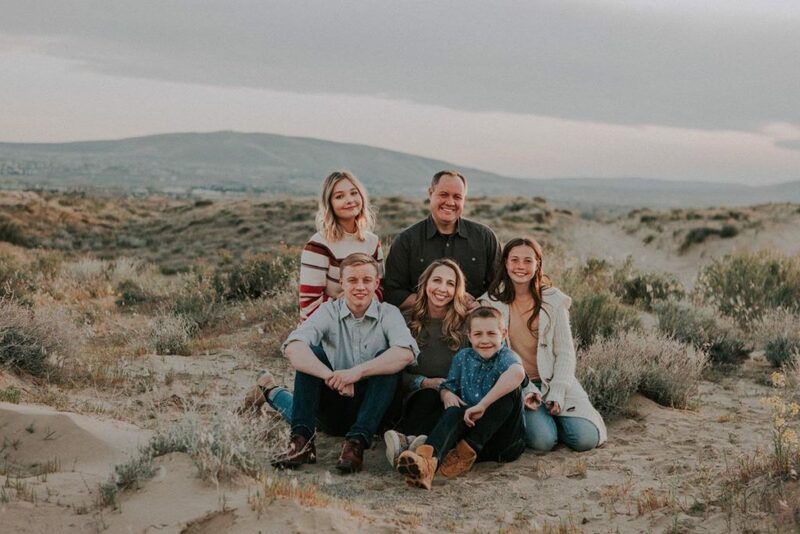 I live and blog out of eastern Washington with my husband and four amazing kids who keep me running around crazy all day long with sports, activities, and all the other regular mom stuff. But they also steal my heart. I’m a member of the Church of Jesus Christ of Latter Day Saints, and I love love love the Gospel. I love that I can always ask God to help me out in this crazy thing called life. And I know that He loves me and answers my prayers. This is a big part of who I am so I wanted to mention it. 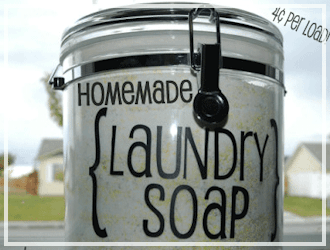 I started blogging in 2009 as a way of sharing recipes and money saving ideas with my 3 silly sisters. 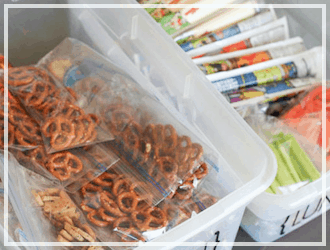 I never dreamed of the exciting ride it would take me through the years working with brands like Frigidaire, Quaker, Albertsons, Allegiant Air, Maytag, Instant-Pot and Kimberly-Clark. I’ve also been quoted in the Wall Street Journal, Huffington Post and featured in the All You Magazine as well as some local news segments. 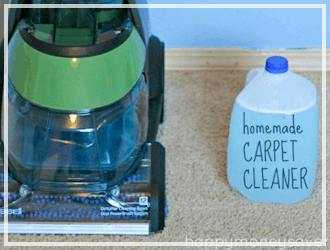 My blog happymoneysaver.com helps my readers find delicious recipes, learn ways to live life to the fullest while on a budget, make things from scratch, and learn to try try again when things go wrong. We like to have fun around here. So I share ideas to keep my readers cooking in the kitchen and laughing along with my funny adventures. 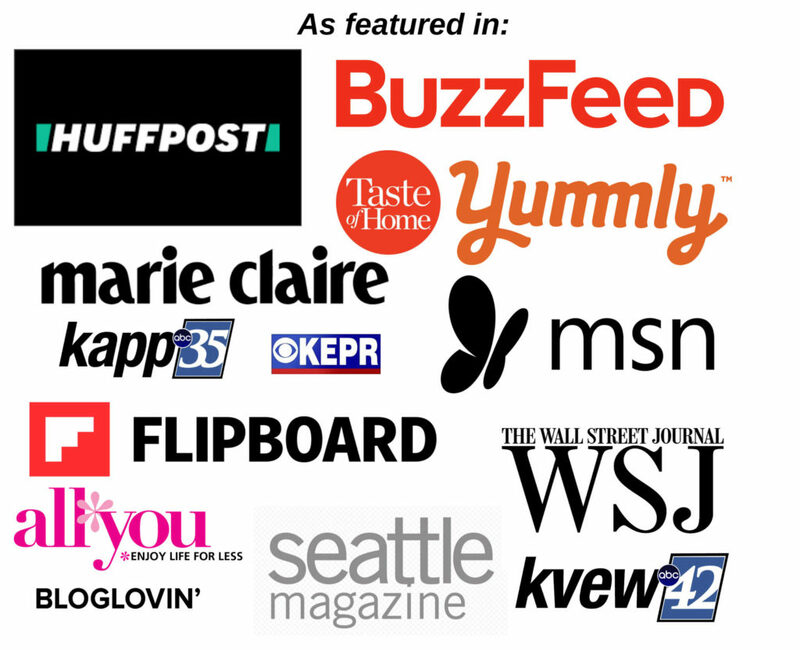 In 2018 I released my very first published freezer meals cookbook. 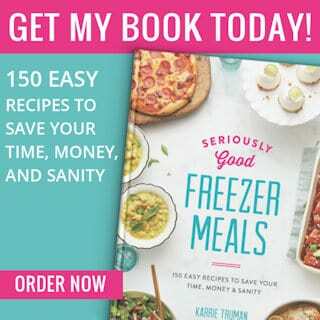 Seriously Good Freezer Meals is full of my own tried and true, best freezer-meal recipes. 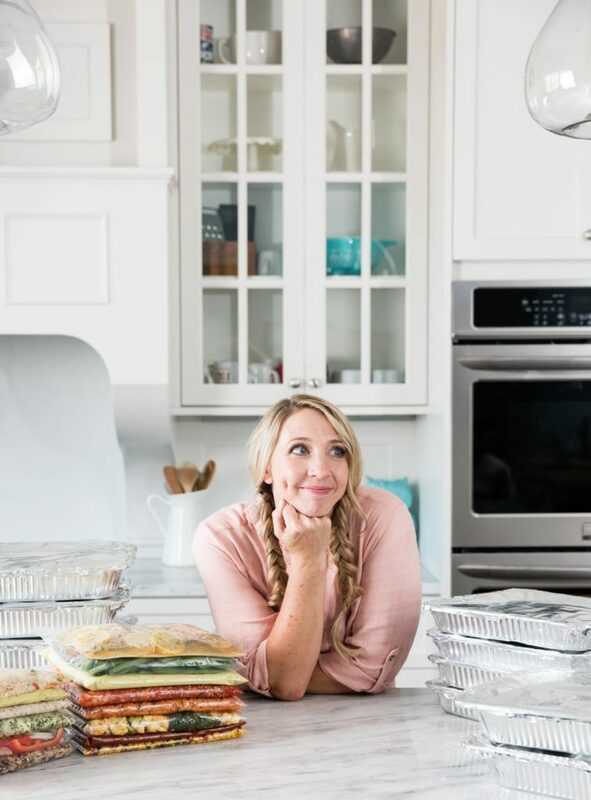 As soon as I started posting freezer meal recipes on the blog my readers instantly fell in love. They were hungry for a whole freezer meal cookbook full of my best freezer meal recipes and commented/emailed me often about wanting a cookbook. 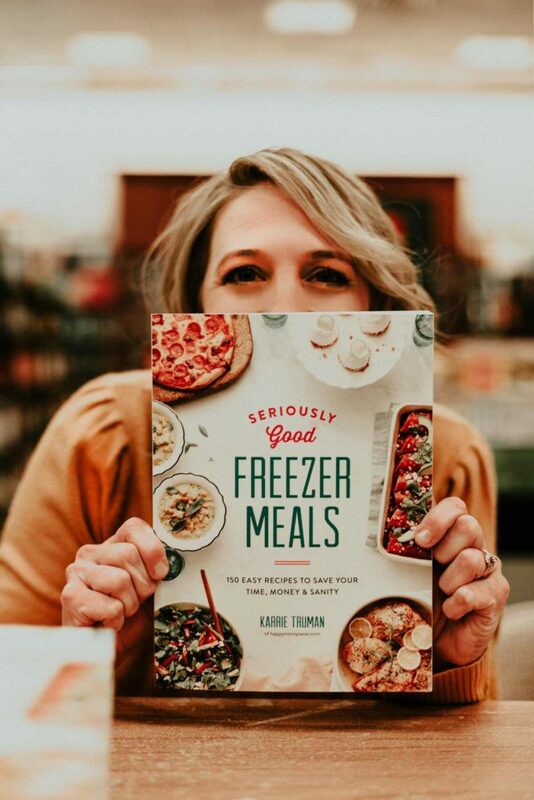 Seriously Good Freezer Meals cookbook is helping out thousands of busy families by teaching them methods of time saving freezer meals. But seriously tasty ones. First thing you wanna do is subscribe to my email updates in the little box at the top of my site. That way when fresh new content or big things are announced you’ll be the first to know. 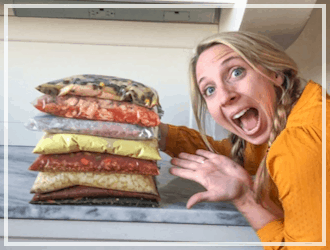 You may also want to follow me on Instagram, Pinterest, Facebook, Youtube and if you love freezer meals you can ask to join my private freezer meal club group too. If you need to get ahold of me feel free to shoot me an email at [email protected] If you are a brand that wants to work together also shoot me an email. I’d love to hear from you! Hi saw your pillow treats for girls camp I love them is there any way I can only download the three I want to print? Hi Karrie, I just found your website while I was on Pinterest . I saw the dog treats and love to know if you have made anything else. Wonderful to hear you are a Christian!! Praise the Lord for your you and your beautiful family!!! i found your website today as i was trying to find a cookbook website as i have to create a cookbook for a school project. it is helpful! their songs (two hours worth) on a reel to reel recorder and only recently discovered the reel’s whereabouts in our old attic–up there all that time in all the heat and freezing cold through the seasons. I’ve had the recordings transferred to cds and the quality of the sound, old as it is, is remarkable, in fact…awesome! So, would you respond using another email address so I could attach a collage photo the kids? Thank you. Hope to hear from you soon. Huge fan of the website. May be a little presumptuous of me but, if you have more freezer recipes, you should sell a cook book. I feel kind of bad using your recipes and advise of which I’d gladly pay for. If you wrote a book, I’d buy it. If you wrote an Ebook, I’d buy it and print it off. I appreciate all the information you’ve provided on your site. A Father, A full time worker, full time student, full time husband, and a guy running a bit short on time. Oh you are so very nice Chris! Thank you very much. I am currently working on my cookbook and hope to have it finished soon. 🙂 Can’t wait to share it with you! 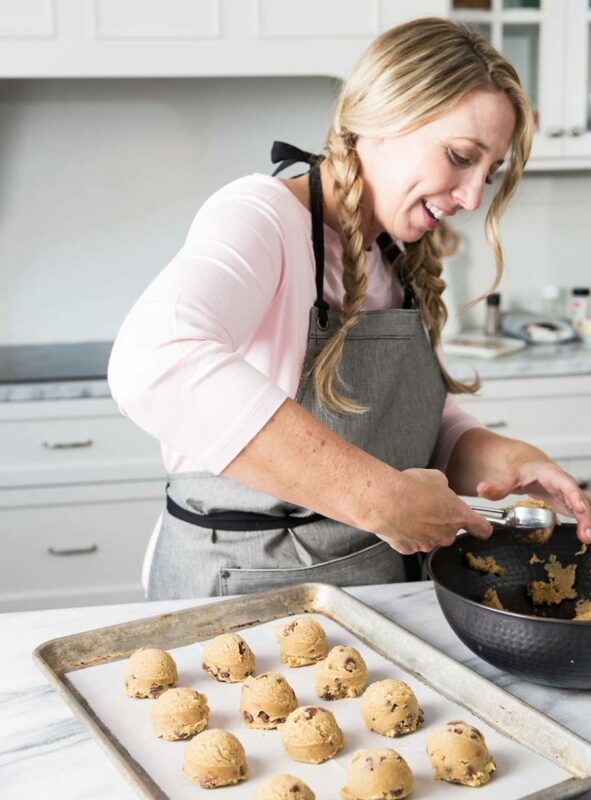 Could you send me a bread recipe for banana bread Karrie ?